Christ University is a renowned and one of a kind university in India. This university is UGC recognised deemed Private university in Bangalore, Karnataka, India. Founded in 1969, it is managed by some priests of Carmelites of Mary Immaculate (CMI), the first indigenous Syrian Catholic religious congregation in India. With over 16,000 students and more than 1000 faculty members, it is one of the top ranked university in the country. In 2014 India Today-Nielsen survey, Christ University was ranked in the top 10 in Science, Arts, Commerce and Law. In 2014 India Today ranking, Christ University ranked 1st in BBA, 6th in Arts, 4th in Science and 4th in Commerce and 12th in Law. This article is dedicated to specify all the possible details about Christ University BBA entrance test 2016. We have covered various details like fees, exam dates, eligibility criteria etc. These details will help you in the entire admission procedure. Christ University BBA Entrance Test 2016 will get conducted by the Department of Management Studies of Christ University on April 24, 2016 and its application form can be obtained by the conducting authority from December 8, 2015. To become eligible for appearing in this entrance test, candidates must have cleared Karnataka PUC or its equivalent 10+2 Exam with any discipline. A copy of the remitted SBI Application Processing Fee Challan of Rs 1000/- (Non- refundable) from any Core Banking Branch of State Bank of India /A Valid Credit / Debit Card / Net banking facility. A valid email ID for further communication (A System generated e-mail confirmation with the application number and date of birth entered into the Online Application will be sent to the provided e-mail ID. Photocopies of class 12th mark statement. Photocopies of class 10 passing certificate. Photocopies of Transfer Certificate (TC). Two stamp size passport size photograph. If candidates belong to outside of Karnataka they also need to submit the photocopies of migration certificate. Academic fee: candidates can pay the amount in terms of cash, demand draft or online payment. Two photocopies of online payment receipt or demand draft. Total number of questions candidates will require to solve is 120. The total exam duration will be for two hours and each question will hold one mark. 25 marks deduction is applicable for every wrong answer. Selection of candidates will be done on the basis of their performance in the mentioned entrance test. The candidates will be selected on the basis of three different categories namely Exam, Micro Presentation (MP) and Personal Interview (PI). Overall performance of candidates will be calculated based on performance in these three categories. Only those candidates will be shortlisted for the Micro Presentation (MP) and Personal Interview (PI) round who have qualified the entrance exam. The Christ University BBA Entrance Test 2016 Result and list of shortlisted candidates will get published on the official website of Christ university. Bright Educational Services (BES) help aspirants with the whole admission procedure. 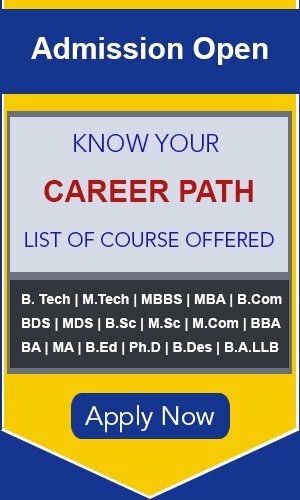 Therefore interested students who want to pursue BBA in Christ University or any other university are advised to browse www.besonline.in and visit your nearest BES centre at your earliest before the limited seats are over. Visit our centre for more and detailed information about the confirm admission.